At the Renaissance Aruba Resort & Casino, we Live Life to Discover. Here in the heart of Oranjestad, it is our goal to indulge you with discoveries that will inspire your inner artist, audiophile, gourmand, sophisticate and pleasure seeker. We’ll immerse your senses from the moment you arrive and engage you in the island’s most fashionable events. From our Okeanos Spa to our Renaissance Mall, you will enjoy everything from sunsets and spa treatments, to glamorous casinos filled with excitement. Renaissance Private Island features Aruba’s only private beaches, you will see, shop, sip and savor all that our island has to offer. In need of some retail therapy? Find a selection of your favorite global brands all conveniently located in the Renaissance Mall. 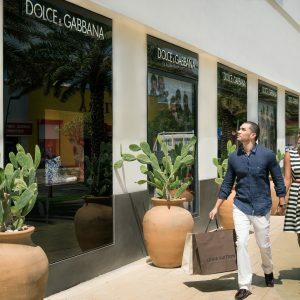 Relax and enjoy some of our newest stores including Michael Kors, Agua Bendita, Dolce & Gabbana and Kate Spade. Stores open at 10 am and close at 7 pm Monday through Saturday. Please visit our website, www.shoprenaissancearuba.com. Here you will find a directory of stores and restaurants as well as learn about news and events at the Mall. 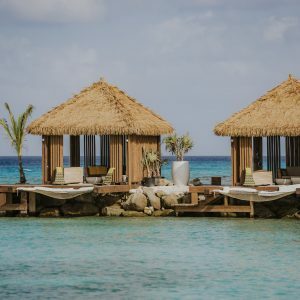 Leave the cares of the world behind as you venture over to an island exclusive to Renaissance Aruba Resort & Casino guests and timeshare members. Renaissance Island features Aruba’s only private beaches and is just an 8-minute water taxi ride away. Grasp the scenic views of the sun-kissed sand and gleaming waters at Renaissance Private Island. Take your vacation to a new level with a private, ocean front cabana at Flamingo Beach or Iguana beach featuring lounge chairs, seating area, bubbles and complimentary food amenity. A day on Renaissance Island is a day well spent. You can rent a cabana thru our navigator at [email protected] Rates for a day rental start at $150 per cabana.